The Post Graduate Diploma in personal Management is recognized by Govt. of India for recruitment to superior posts and services under the Central Govt. and also by the state Governments of Andhra Pradesh, Kerala, Karnataka, Rajasthan, Bihar, West Bengal, Tamilnadu, Goa, Punjab, Orissa for recruitment of Welfare officers. PGDPM awarded by NIPM is recognized by most organizations and considered as requisite qualification for promotion up the ladder in the hierarchy. 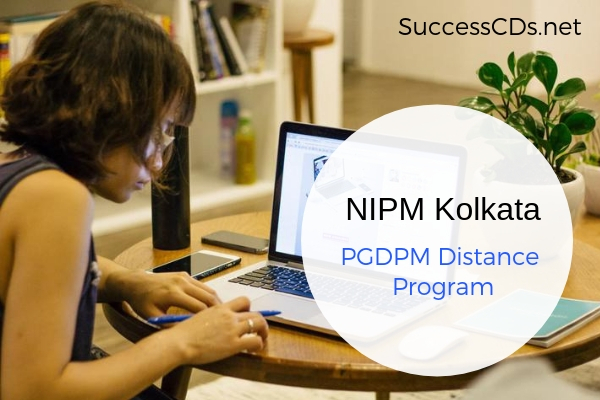 Post Graduate Diploma in Personnel Management conducted by NIPM is of 2 years duration which has its emphasis on professional excellence and wide network throughout the country in almost all the states. Applicants should at least be Graduates from a recognized University or its equivalent, with a minimum of 50% marks in the degree examination. In case of Honors degree or Master’s degree as also in case of candidates having 3 years working experience in HR profession or 5 years working experience in Industry or those who are professionally qualified as Chartered/ Costs/Cs/Management Accounts etc. the requirement of 50% of marks may be waived. Total Course fee for two years is 30,000/­ in one-time payment to be paid along with the application form or Rs.15,000/­ each in two installments with six months interval. The Board of Studies decide upon the exam centers at the NIPM Chapter offices located in different parts of the country for holding Semester Examinations. New centers may be opened and existing centers may be discontinued at the direction of the Board of Studies. At present Exam are held in Bangalore, Kolkata, Delhi, Chennai, Mumbai & Trivandrum.